Comfortable bed and clean bathroom. Staff are very friendly. Where to find Uniontown hotels near an airport? Where can I find hotels in Uniontown that are near tourist attractions? Planning to spend time in Western Pennsylvania and would like to stay in or near Uniontown? Within 0.1 kilometres (0.06 miles) of central Uniontown there are 8 Expedia-recommended short-stay and long-stay accommodation options you can choose from. Uniontown's city heart is within walking distance of accommodation like Park Inn by Radisson Uniontown, PA and Hampton Inn Uniontown. Farmington, a popular Uniontown hotel area with 2 hotels is 17 kilometres (11 miles) away. 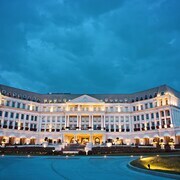 Places to stay here include the Nemacolin Woodlands Resort and The Historic Summit Inn. Waynesburg, Belle Vernon and Bentleyville also have Uniontown hotels that travelers can book on Expedia's hotel websites. In Waynesburg, the range of hotels include the Hampton Inn Waynesburg and Comfort Inn. Alternatively, those who choose to base themselves in Belle Vernon, can choose between the Holiday Inn Express & Suites Belle Vernon and Comfort Inn Belle Vernon. In Bentleyville travelers can choose between Holiday Inn Express Bentleyville and Best Western Garden Inn. 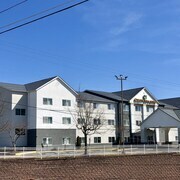 The Best Western Garden Inn, Comfort Inn and Microtel Inn & Suites by Wyndham Waynesburg are good accommodation options for those who are after more economical accommodation. 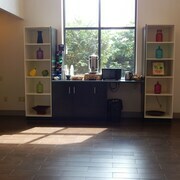 Check out the Holiday Inn Express Morgantown as well as the Residence Inn by Marriott Morgantown. 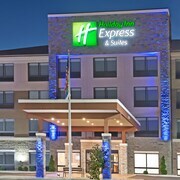 The Holiday Inn Express Morgantown is situated 30 kilometres (20 miles) from downtown Uniontown. 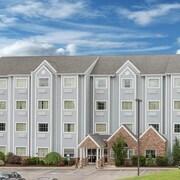 The Residence Inn by Marriott Morgantown, is located 35 kilometres (21 miles) away. The South Broadway Manor Bed and Breakfast and also the Hampton Inn Morgantown are alternative accommodation options worth looking into in Uniontown. Interested in seeing even more of the rolling hills and tablelands common to this area? Why not plan some extra days in other places in Western Pennsylvania? You might like to tour local various attractions or go hiking and shore fishing and then find a convenient place to stay. 65 kilometres (40 miles) to the north of Uniontown is Pittsburgh, where you can spend the day visiting University of Pittsburgh and Carnegie Mellon University. Pittsburgh hotels and accommodations include the Fairmont Pittsburgh and Renaissance Pittsburgh Hotel. Alternatively, you could stay in Washington, 55 kilometres (33 miles) to the northwest of Uniontown, where you can choose from the The George Washington Hotel and SpringHill Suites by Marriott Pittsburgh Washington. If you're staying in Washington, a couple of places to add to your itinerary are the Washington and Jefferson College and Tanger Outlet Center. Located 35 kilometres (21 miles) away from Uniontown is Morgantown Municipal Airport. Stay nearby at The Chestnut Boutique Hotel or Springhill Suites by Marriott Morgantown. What are the most popular Uniontown hotels? Are there hotels in other cities near Uniontown? What other types of accommodations are available in Uniontown? Explore Uniontown with Expedia.ca’s Travel Guides to find the best flights, cars, holiday packages and more!